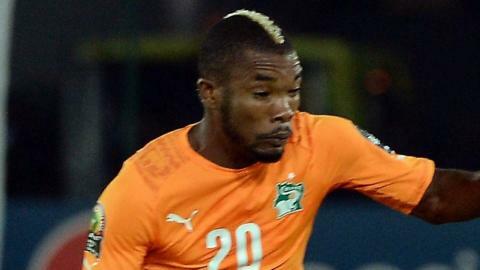 Ivory Coast and Stuttgart midfielder Serey Die will miss the rest of the season after suffering a leg injury. The 31-year-old picked up the problem during Stuttgart's 2-2 draw with Darmstadt on Saturday. Although Die noticed pain in his abductor muscle only 10 minutes into the match, he continued to play on. Stuttgart Sport director Robin Dutt said: "This is a very unfortunate update, Serey Die is a fighter and he will be missed!" As well as missing the remainder of the German Bundesliga season, Die is out of Ivory Coast's friendly against Gabon on 3 June. And the Elephants face a wait to find out if Die will be fit to take part in the 2017 Africa Cup of Nations qualifier at home to Sierra Leone on 2 September.